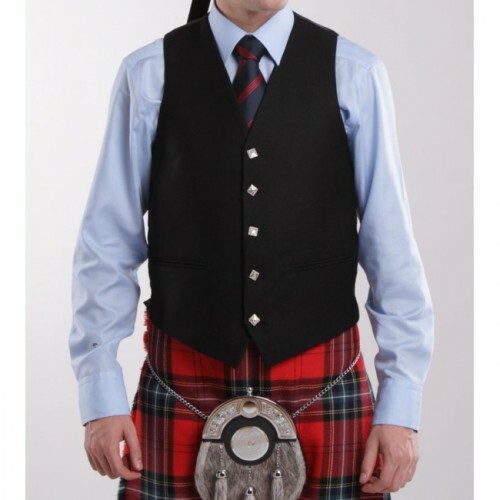 The majority of pipe bands today have chosen to compliment their jackets with waistcoats. This gives the option of playing in the waistcoat only which can prove to be an advantage on a warm day. The Piper waistcoat differs from Argyll waistcoat as it has 1 inch extra on the length at the back to cover tha gap that can sometimes appear between the waistcoat and kilt.